First Person I’d left home 30 years ago – could I really go back? I’d left home 30 years ago – could I really go back? “You can’t go home again.” I had heard that expression before but never paid much attention to it. I didn’t even know its origin until I recently looked it up. It’s the title of a book I’ve never read by Thomas Wolfe published in 1940. She had a point, which I quickly discounted. No, I was determined to return to what I considered “home” and nothing would stop me. I had thought this one through. I had made my lists of reasons why and pros and cons and it all made perfect sense. But more than my lists was an unstoppable drive in me, like a migrating bird, that I must go home. It took months of planning and paperwork, the clearing out of years of clutter and memories and many sad goodbyes – my coffee place, my dry cleaner, my grocery store, my beloved dog walker and my dear friends. Goodbye to all of that and off I went. 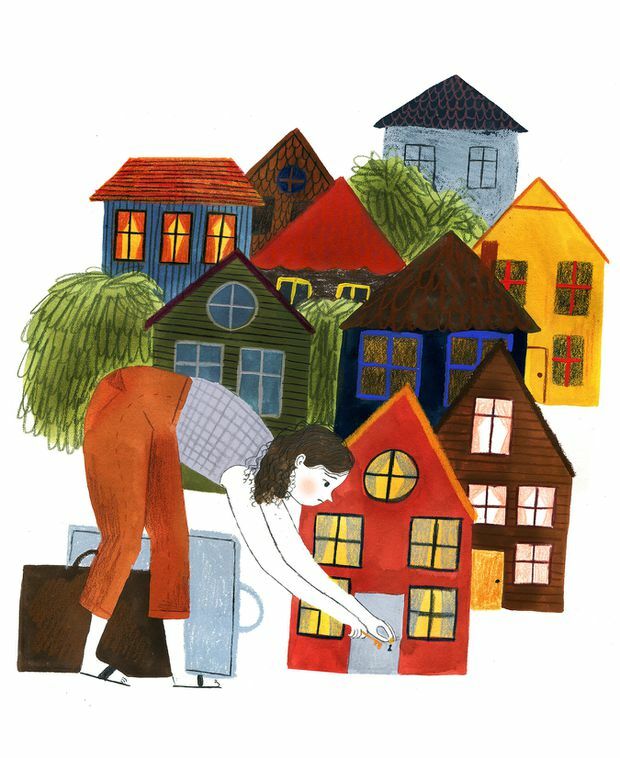 Optimistic and seeking a better life – perhaps a small house of my own (I had always lived in an apartment), maybe even a garden (never had one of those), a couple of rescue dogs (I had just put my old boy down) and a neighbourhood and community. I arrived in my overloaded truck and began the hard work of starting all over again. Pounding the pavement for a place to live, hoping against hope to find work in my field and looking to connect with old friends while making a few new ones. But I had underestimated the passage of time and what it does to what we think and hope is still there. All my convincing lists were of no use when the flaws in my well laid-out plan began to reveal themselves. The first, was my belief that I would have a ready-made community of old friends and extended family. What I failed to consider was that everyone had built their lives over many years and were well settled into them. They were not, like me, looking for new friends or even old ones to enter into their established worlds. Their social groups were set with not a lot of wiggle room for what I now was – an outsider. I felt like a fifth wheel – unnecessary, possibly an impediment. The job hunt felt much the same. I had hoped that I could bring some of my experience to a new market despite my advancing years. But nothing ever clicked. I could get no traction and I had no network. I secured a few freelance assignments but was unable to convert them into something more. I felt resistance, but perhaps it was my own. The search for a place to live only added to my growing doubt. A real estate market in overdrive, prices on steroids, life-altering decisions to be made in hours, only to lose the prize in a bidding war. I lost my nerve and withdrew from the hunt. It became clear that I was a buyer in a seller’s market. And not just when it came to real estate. Every part of my life began to feel that way. Doubt crept in. I had to be doing something wrong. I started that exhausting exercise of self-examination … why wasn’t it working? Had I changed that much? What did I need to do to get on track – try harder, smile more (or less), make more cold calls, invite people over, take another course, volunteer? I felt increasingly isolated and alone. The friends I had left from my adult home stuck like glue. Daily calls and texts – when was I coming back for a visit? Cards and thoughtful small gifts arrived in my mail – life rafts that kept me afloat. They could hear the cracks in my voice. My pride didn’t help. I didn’t want to admit it wasn’t working. That I might have been wrong. But they didn’t care. “Just come back!” they said. The thought had crossed my mind. I felt dumb. What made me believe that I could slide back into my childhood home after being away for 30 years? I felt tired. All that planning, all that work, all that expense and all that hope. What had I been thinking? I hadn’t been thinking, I had been dreaming. Dreaming of the life I had wanted. The one that had passed me by. Like any loss, the first step is acceptance. I tried to deny my unhappiness for as long as I could. Until one morning, I woke up and thought, “I don’t have time to be unhappy.” The clock is running on my life. I don’t have 10 years to build a new one, make new friends, create a community and find an affordable house. I need to be happy now. I need to return to the only home I have known as an adult and to the friends and community I had developed over decades – the ones who had seen me through the best and the worst of times. Back to my apartment and to my true extended family: the people in my local shops, my yoga teacher and classmates, my dog walker and dentist and the men who work in my building. The ones who bring me soup when I’m sick and who text me photos of their kids. I finally allowed myself to admit that I was homesick, but this time for my grown-up home. When I returned for a visit, everything felt right. I fell back into a natural rhythm. My friends were happy to see me, my apartment comforted me, my dry cleaner hugged me and my coffee guy remembered that I take mine with cream. The dream had died but the pursuit was worth it. There will be no house, no garden, no pack of dogs. No street party or family gatherings. All that will be replaced by what makes a home wherever one is – a history and connection with your tribe, a feeling of unconditional acceptance, one’s custom-made family and a feeling in your heart that you belong. I don’t need to read Thomas Wolfe’s book now. I know how it ends. Daryl Elliott lives in Toronto.